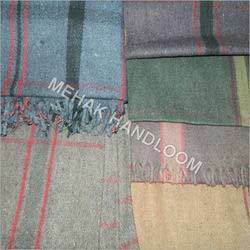 Leading Manufacturer of wool check blanket, double weave check blankets and check blankets from Panipat. Remembering the differing prerequisites of our regarded patrons, we are putting forth a magnificent quality Wool Check Blanket. Design by our devoted experts as per the most recent patterns overarching in the business. The whole range is custom-made utilizing high-review material and modern innovation. After the complete quality check, our blankets are conveyed to patrons' end at nominal costs. 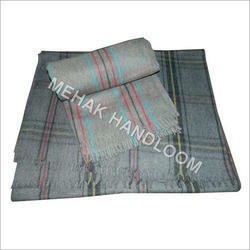 Being a quality-driven company, we are putting forth an mammoth range of Double Weave Check Blankets. Our blankets are designed by our gifted experts with most extreme consideration using finest quality material at our assembling unit. Further, these blankets are examined on different quality parameters to guarantee that we convey defect free range to our patrons. Our regarded clients buy these blankets from us at nominal costs. We are positioned amongst the preeminent firm that is occupied with manufacturing, exporting and supplying an extensive variety of Check Blankets. These blankets are designed utilizing quality sanction fabric and most recent hardware. These excellent blankets are offered in different sizes because of which these are exceptionally requested in the market. 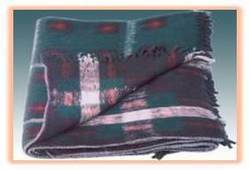 Our offered blankets are tested by our quality controllers on diverse parameters to guarantee its faultlessness. Packaging Details: as per buyers requirement . it can be bale packing or box packing. Looking for Check Blankets ?